As a team of Amazon sales & strategy consultants, we often talk with a lot of brand owners who are not yet actively selling on Amazon. Following our initial marketplace analysis, it might come as a surprise for these owners when we find that their products are actually being sold on Amazon, by other sellers. It then begs the question, “How are other people allowed to sell my product on Amazon without my permission? Having many sellers hawking the same product in the same marketplace, has the typical result of driving prices down. This pro-buyer policy is accomplished through the “Buy Box” algorithm, which is the way Amazon’s system chooses which seller gets the sale in cases where multiple sellers are offering the same product. It generally drives down the price of their products. Having multiple sellers of a product often results in them competing on price. ‘Repricing’ software is often used by these sellers to automate the process of reducing prices of items in order to win the Buy Box and get the sale. Reduced prices may affect customer perception of the brand. If your brand has a strategic pricing model, it can be frustrating to have this undermined in such a significant market. Reduced prices affect relationships with other vendors. Brands who sell to retail stores or distributors might find these relationships are affected when they see a low price on Amazon. You might have a MAP (Minimum Advertised Price) policy in place with your other vendors, which might be flagrantly ignored on Amazon by an anonymous seller. Product pages that are off-brand. Anyone can create a new listing for your product if they have products in stock in new condition and an Amazon Seller Account. They may not have the correct product information or might be using a poor quality product photo. Since there is little incentive to follow brand guidelines for the listing, the brand experience may take a toll. This is frustrating for brands who have worked hard to develop consistency across their sales channels, only to have it undermined by rogue sellers. The policing of your brand on Amazon comes down squarely on the shoulders of the brand. Some brands may even decide Amazon isn’t for them after all. This was the case of Birkenstock, a company with a history of about 240 years, that has decided, earlier this month, it was time to move away from Amazon. Their decision is aimed to achieve better control of the brand, both in terms of authenticity and price, and does come at a time when their products appear to be experiencing a revival. But how about brands that are doing so well on Amazon, that they don’t want to leave it? They want to start or continue selling in this marketplace, although they might have to overcome the challenge of unauthorized sellers. 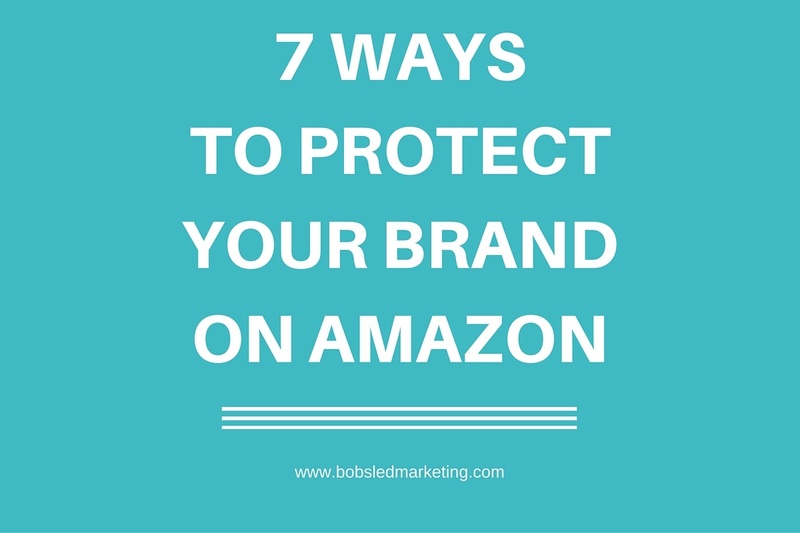 HOW CAN YOU PROTECT YOUR BRAND ON AMAZON? 1. Understand that Amazon will not help you take down unauthorized sellers. 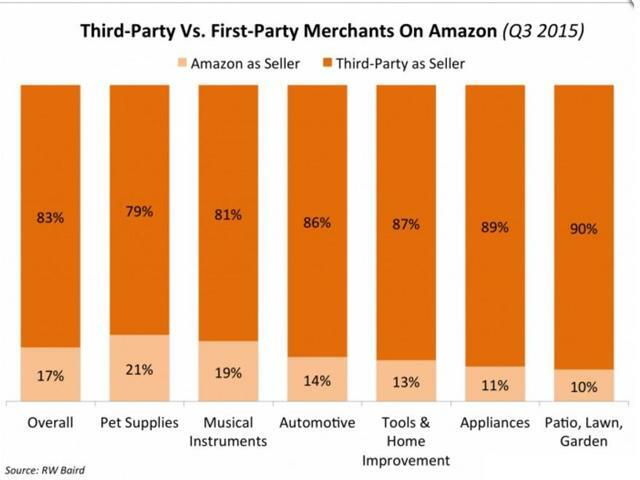 Amazon wants to have multiple sellers of each product, because it often helps to keep prices competitive, hence making the products (and the overall marketplace) all the more appealing to buyers. Asking Amazon to help police your brand will fall on deaf ears, even if you have protective assets like a patent or trademark. Amazon does not view unauthorized sellers (i.e. anyone but you and your authorized distributors) as policy violators. Amazon is a catalog business which is actually designed for more than 1 seller to be on an individual listing. Only counterfeit items are against Amazon's policy. 2. Apply for the Amazon Brand Registry. Your “content contribution” outweighs any other Sellers. The copy, keywords and other product listing content you submit will override any content that other Sellers try to submit. Please take note, this presupposes the brand is registered properly, and that every product has been correctly enrolled - including Manufacturer part Number and UPC codes. If you would like an Amazon consultant to assist with your Brand Registry, please contact us. 3. Keep your brand identity front & center. Maintain a public website for your brand for which you can prove ownership - this is actually a requirement for applying to the Amazon Brand Registry. You should also have your brand name printed on the packaging and the actual product. This is another requirement of the Brand Registry process, but will also help in identifying counterfeit items (see below). 4. Put in place exclusivity and map policies for your distributor contacts. Execute iron-clad agreement with distributors, resellers or retailers who may sell your product, explicitly preventing them from selling your brand on Amazon themselves, or to adhere to your MAP policy if preferred. If you find that wholesale distributors are ignoring the exclusivity or MAP clause, you can then choose to take further action which could include raising their wholesale price so that it’s financially untenable for them to continue, thereby undercutting you on Amazon. Further protection can also be found in ncluding serialization on products. This allows you to find out which distributor might be doing this, so you can trace back to the problem distributor. Enforcing an exclusivity contract is just as important as setting it up. You’ll want to be tracking who is selling your products on a regular basis, and nip any untoward behavior in the bud. 5. Handle unauthorized Amazon resellers reactively. Send a 'cease and desist' style message through the Amazon system directly to the other seller. This eliminates a good percentage of unauthorized sellers. If we believe it is a counterfeit item, we place a 'test buy' to validate. After verifying that the product is not authentic, we file a complaint with Amazon and try to have the seller’s offer taken down. You will not get any compensation from Amazon for doing this. 6. 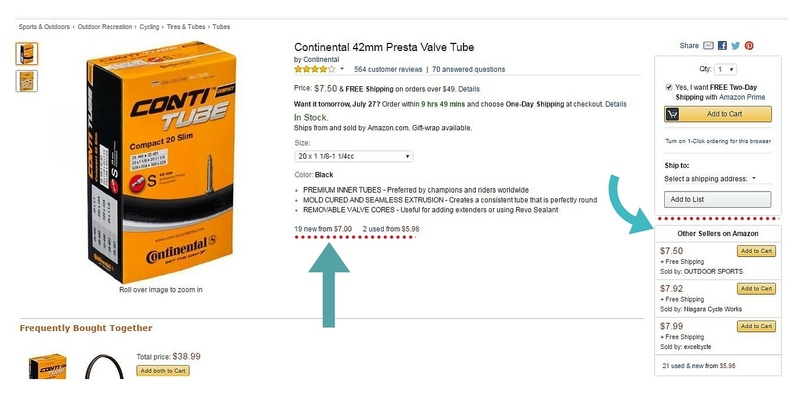 Don't use stickerless commingled inventory, if using the Amazon FBA Program. When you sign Fulfilled By Amazon (FBA) (read more about this program, here) , there is an option available to not apply Amazon barcode labels (stickers) to your inventory when it’s shipped in. However convenient it might seem, do not use this option. This means your product can be mixed in with potentially counterfeit items. 7. Consider becoming an Amazon vendor. We have written plenty more content about Seller Central vs Vendor Central (basically the difference between selling on Amazon directly to their customers, or selling to Amazon on a wholesale basis). One other benefit of being a Vendor on Amazon is that you will become the defacto brand owner on Amazon. It will be extremely difficult for other sellers to make changes to your product detail page, such as changing the product description and product images, adding new variations, and other unwelcome changes. During our experience as Amazon consultants, we found the following frequently asked questions to be important considerations for sellers looking to protect their brand against unauthorized sellers. Kiri Masters, our CEO, provides the answers. Q: As a foreign brand, should I set up a US entity to help protect my brand? A: I advise against setting up a US entity simply for the purposes of policing your brand, as it won’t necessarily be noticeably effective. Some of these unauthorized sellers won’t be US companies either, so it won’t necessarily be easy to enforce legal action. By setting up a US entity you’ll also need to start dealing with all the paperwork, legal and tax affairs required of US companies. Q: Will a trademark or patent help? A: Trademarking would be prudent and give you more grounds for legal action in a ‘worst case’ scenario. 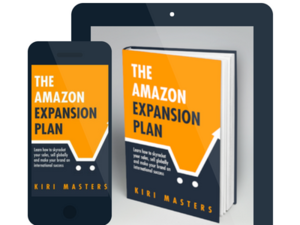 But it is difficult to actually obtain the identity of many sellers on Amazon, so you may not even get to that point without considerable expense. Q: Is it possible to Block other sellers on my product pages? A: No, and this goes against the whole value of Amazon’s marketplace. You can put the above protections in place, but you’ll need to also supplement that with ongoing monitoring of your product pages and react to any new, unauthorized sellers. Q: I have a MAP policy in place- shouldn't that protect me? A: Amazon does not care about MAP and they will do nothing to enforce it. Use serialization to determine which, if any, of your distributors are violating MAP. Also remember that from a legal standpoint, MAP is a concept that is only really used in the USA, outside the USA such practices are considered price fixing. It can be frustrating and time-consuming to effectively manage your brand on Amazon and stave off opportunistic sellers who affect your brand positioning and key relationships. But the rigor required to properly police your brand on Amazon can also present an opportunity: increased revenue. Contact us if you need a consultant to manage your brand properly on Amazon - both to protect your brand from unauthorized sellers, but also to grow this sales channel into a significant revenue stream. We have case studies of current and past clients that have seen great results from our work. Please leave your comments or questions about protecting your brand on Amazon below, and we’ll do our best to answer them for you! Newer Post Should You Manage Your Own Amazon Account or Pay an Expert Consultant?